The Philip Chosky Theater was donated by Philip Chosky. 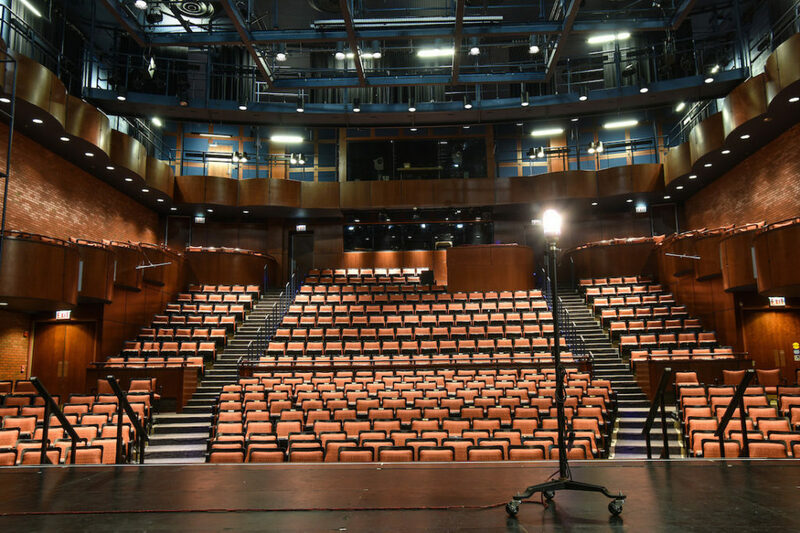 It is the largest theater space at the School of Drama and seats up to 450 people. It is a classic proscenium arch theater, and has a flexible proscenium which can be also arranged into a thrust configuration. It is equipped with counter weight fly and hemp fly systems, 24'x18' trap door section, and a tension grid for front of house lighting. The apron is on an elevator system so that it can be used as a stage apron, orchestra pit, or additional seating area. The Helen Wayne Rauh Theater is a 140-seat studio theater which doubles as a teaching space. This type of space is also known as a laboratory theater, black box theater or flexible seating theater. This space was given to the school by Richard E. Rauh in honor of his mother, Helen W. Rauh. 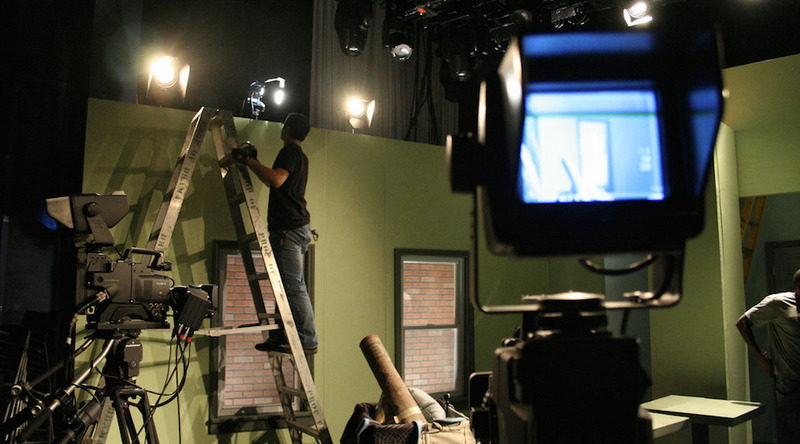 The Wells Video Studio was donated by John Wells and is a hands-on classroom that also serves as an automated light lab and performance space for new works and one act plays. It has a three-camera step up used for acting and directing for the camera. Studio 201 is a renovated warehouse space located off-site in North Point Breeze. 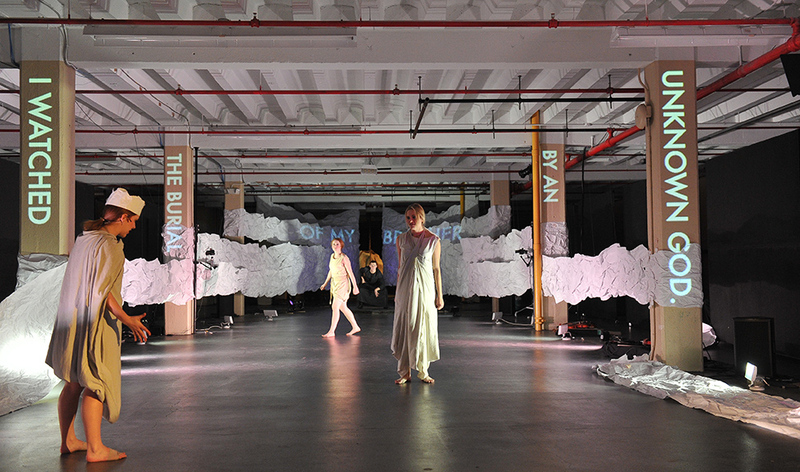 The students use the 15,000 square feet of versatile space for several interdisciplinary classes such as Future Stages, as well as an alternative design space for Scenography and Media & Video Design. 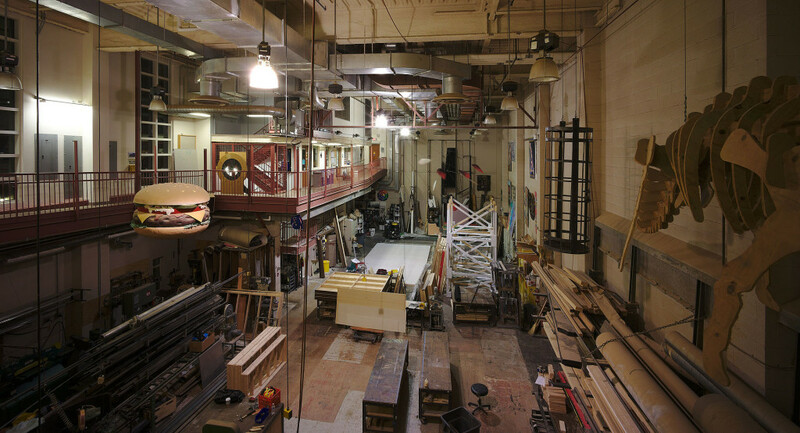 The Scene Shop is used for the layout, construction and painting of all scenery and props for School of Drama productions. The Scene Shop is also used as a hands-on classroom for production classes including stagecraft, scene painting and welding. It is also used as a laboratory workshop for students to complete projects. The scene shop consists of a metal shop, prop shop, paint shop, loading dock, tool room, hardware room, a paint storage room and a paint mixing area. Additionally the shop has a full collection of tools specifically used in woodworking, metalworking and plastics. Recent acquisitions include a CNC router and Epilogue Lazer Cutter. 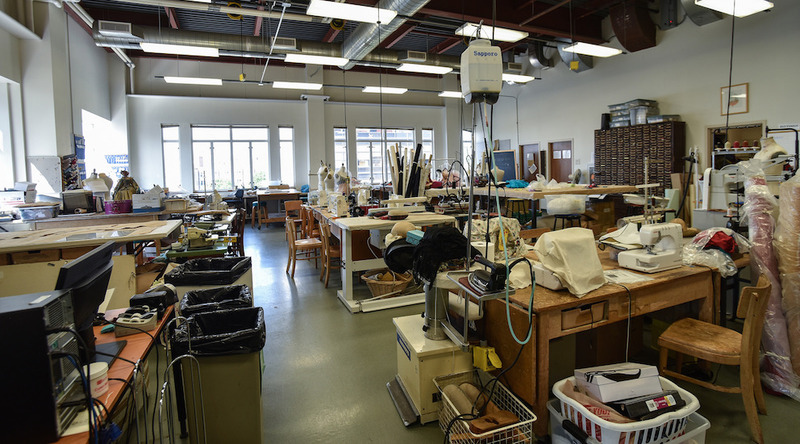 The Costume Shop is a space used for the construction and management of costumes for all School of Drama productions, and as a hands-on classroom and laboratory for students. The Costume Shop houses a craft room equipped with a spray booth, a dye room equipped with two 45-gallon vats for dyeing and a professionally lit fitting room. Costumes are stored both on and off campus. The Brown Movement Studio was donated by Robert M. Brown III. The studio is equipped with a sprung hardwood floor, mirrors and dance bars. The studio is used for dance movement classes and as a rehearsal space. The Morie Dance Studio was donated by Robert and Jo Anne Morie. This studio is equipped with a sprung hardwood floor, mirrors and dance bars. The studio is used for dance and movement classes as well as a rehearsal space. The Design Studios are mixed use spaces serving as both classrooms and studio spaces. They are equipped with drawing boards, drafting desks and stools. The Skinner and Wagner Voice and Speech Rooms were donated to the school by Paula Wagner and Edith Skinner. These rooms are for classes in vocal techniques for the stage. The Light Lab is used as a classroom for lighting students and as a laboratory for lighting class assignments. The Light Lab is designed to familiarize students with equipment necessary for practical lighting applications. The Light Lab also has a small darkroom for developing and printing black and white photographs. The Production and Technology Classroom is used as a meeting room and resource room for students enrolled in the Production Technology and Management option. The room is designed with a main work table with separate workstations located around the perimeter of the room. The room is equipped with pneumatic air stations to aid in the research and development of pneumatically controlled effects. The Sound Lab is a workspace used by students for their sound class projects and production designs. The space is equipped with both Mac and PC computer workstations. Software includes ProTools, Peak, Logic Audio, SFX, Qlab, Smaart, EASE and Audacity. Hardware and software processing devices and a variety of audio testing devices are also available.